From April 2 to June 25, 2019, play the Newport Pleasure Payday Scratch Off Instant Win Game and you could win up to $500 cash or up to $75 in Prepaid Debit Cards. Over 1,000 winners and more than $100,000 in prizes. To enter, visit www.NewportPleasure.com during the Game Period and follow the online instructions to scratch a digital game card to reveal if you are a winner of a prize. Plus, get a bonus scratch off opportunity on Fridays! THE GAME IS OPEN ONLY TO LEGAL RESIDENTS OF THE 50 UNITED STATES AND WASHINGTON D.C. (EXCLUDING RESIDENTS OF MA and MI), WHO ARE TOBACCO SMOKERS 21 YEARS OF AGE OR OLDER AT THE TIME OF PARTICIPATION AND HAVE A VALID PERSONAL IDENTIFICATION NUMBER (“PID”) AND PASSWORD PROVIDED BY THE SPONSOR. Game begins at 12:00:00 p.m. (noon) ET on April 2, 2019 and ends at 11:59:59 a.m. ET on June 25, 2019. Limit one (1) Play per person/PID per day with the exception of Fridays, during the Game Period, in which the limit is two (2) Plays per person/PID per day. Twenty-five (25) First Prizes: Each First Prize winner will receive $500.00 (awarded in the form of a check, payable to winner). Fifty (50) Second Prizes: Each Second Prize winner will receive $250.00 (awarded in the form of a check, payable to winner). Two hundred (200) Third Prizes: Each Third Prize winner will receive $100.00 (awarded in the form of a check, payable to winner). Four Hundred (400) Fourth Prizes: Each Fourth Prize winner will receive one (1) $75.00 Prepaid Debit Card. Four Hundred (400) Fifth Prizes: Each Fifth Prize winner will receive one (1) $50.00 Prepaid Debit Card. Four Hundred (400) Sixth Prizes: Each Sixth Prize winner will receive one (1) $25.00 Prepaid Debit Card. Total value of all prizes offered is $105,000.00. To obtain a list of prize winners, mail your name and address on a first-class, self-addressed stamped envelope to: Newport PayDay Scratch Off Instant Win Game Winner’s List, 10 South 5th Street, 7th Floor, Dept. 924-755, Minneapolis, MN 55402 for receipt by July 25, 2019. 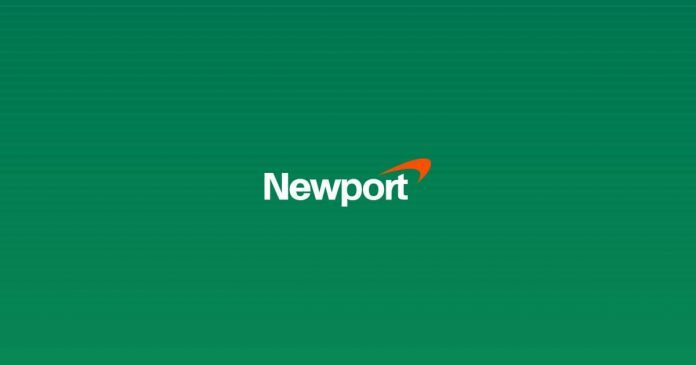 If you need more assistance, please contact NewportPleasure directly. Website want let me log in or try to change password i believe theirs a hacker and some days it would say i already played when i didn’t.